Two old Jewish men from New York, Sid and Abe, are sitting in a Mexican restaurant while their wives are out shopping. Sid asks Abe, “Do you know if any people of our ancestry were ever born and raised in Mexico?” Abe replies, “I don’t know, let’s ask our waiter.” When the waiter arrives, Abe asks, “Are there any Mexican Jews?” The waiter says, “I don’t know senor, I ask the cooks.” “He returns from the kitchen after a few minutes and says, “No senor, the cook say no Mexican Jews.” Abe isn’t satisfied and asks, “Are you absolutely sure?” The waiter, realizing he is dealing with “Gringos” replies, “I check once again, senor,” and goes back into the kitchen. While the waiter is away, Sid says, “I find it hard to believe that there are no Jews in Mexico. Our people are scattered everywhere.” The waiter returns and says, “Senor, the head cook Manuel, he say there is no Mexican Jews.” “Are you certain?” Abe asks again. “I just can’t believe there are no Mexican Jews!” “Senor, I ask EVERYONE,” replies the exasperated waiter. “All we have is Orange Jews, Grape Jews, Prune Jews, but no Mexican Jews.” Communication is a wonderful thing. Sometimes we think we get what is being said, but then at the end we realize we did not. That is what happens in the parable that Jesus tells in today’s gospel. The chief priests and elders think they are getting what Jesus is saying, but then at the end realize what they were thinking was not what he was really saying. We are still in the temple the morning after Jesus had kicked out the money changers and sellers of animals. Jesus has just made the chief priests and elders look pretty bad. We talked about the parable of the two sons last week. As soon as he finishes Jesus says, “Listen to another parable.” And because of the power of his personality, his personal magnetism everyone is drawn into the story. The situation of an absentee landowner was not unusual. In fact, the odds were that the chief priests and the elders of the people were owners of some sort of farm land in this manner. Jesus points out that the landowner in this story went to very expensive lengths for his vineyard. He put in a fence, dug a wine press and put up a tower. Then he hired some local guys to take care of it and tend it and he left the area and went back to another country. He may have purchased his property in Galilee and then gone back to Jerusalem, which would fit the parameters. As was the custom, the owner would either return in person but most likely send some servant to pick up his percent of the profits or perhaps the produce. But what happens? To the horror of the chief priests and elders, all of whom are wealthy, the tenants of this vineyard have rebelled and they refuse to hand over the landowner’s rightful share. This happens not just once but a number of times. Then, relying on his status he sends his son. He knows that those lowborn, peasants wouldn’t dare to disregard his son. Well, in the story they do and they do not simply disregard his son, they murder him. So Jesus asks his audience, what will happen now? The chief priests and elders know what is going to happen because they know exactly what would happen if this situation were real. Those tenants would be put to death. They wouldn’t just die; they would be given much painful punishment as possible and then killed. These rebellious tenants had crossed the line; they had crossed the line big time. And they were would die horribly and then the landowner would get some people he could count on. He would find dependable stewards. Everyone in the audience is right with Jesus now. The stone that the builders rejected… Jesus moves from a vineyard to a building. When Solomon built the temple, he did not allow any hammers or chisels to be used in the area where the temple was being constructed. So those huge quarried blocks of stone would have to be cut very precisely but cut in the area around the quarry and then brought by the sweat and muscle of humans and animals to Jerusalem to be fitted into where they were supposed to go. The blocks of stone used for building the temple were huge. The corner stones would be even larger because they spanned the depth of two walls and bore the heaviest weight. It is estimated that the corner stones in Solomon’s temple were around 20 feet long and 7 feet thick. How many tons those blocks would weigh, I don’t know, but certainly many tons. The story Jesus refers to went as follows: the chief cornerstone had been cut and then sent but the men constructing the temple didn’t recognize what it was, so they thought it was a mistake and had it pushed into the Kidron Valley, into the dump outside Jerusalem’s walls! Later on when they needed the cornerstone they sent word to the quarry and said, “We need that cornerstone where is it?” The foreman at the quarry told them that it had been sent long ago. It was then they realized they had thrown away the most important stone and they had to go down to the dump and wrestle it out of the valley and put it into place where it fit perfectly. Jesus tells the chief priest and elders, “I am that chief cornerstone that you are rejecting. Because you have been like the tenant farmers you will be replaced. You have betrayed your trust. God is going to give this authority to others. Jesus’ prophecy came true! The entire Sanhedrin was either destroyed or dispersed as a cloud of dust after the Jewish wars in 70 AD just 30 some years after Jesus spoke these words. So does this parable apply to us today? As in every parable we need to see who we are in this parable. We tend to relate to the landowner because we see the injustice of how he was treated, just like the chief priests, elders and the crowd did so many years ago. But in the parable the landowner is God. We certainly are not God. We are the ones who are here to work in God’s vineyard, that is, to do God’s work. We also are the tenants; we are the stewards! Now the question is what kind of tenants or stewards are we? Are we doing what God wants us to do with what God has entrusted to us? Or are we trying to hang on to what he has given us and not return his portion? As stewards we have two responsibilities. We are to use wisely what God has given to us; this means to serve him with our time and talents. And then we are to return a portion of the produce. Now in the days of Jesus, the land owner would take 80 to 90 percent of the produce and the tenants would live off of the rest. In our case it is just the opposite. He gives us 90 percent to live off of and we are to return to him 10 percent. 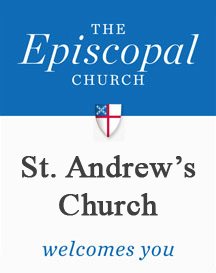 We are beginning our Stewardship campaign at St. Andrew’s this week. We go through October and then on the last Sunday of October we have our grand stewardship dinner in celebration. Most of you have received a letter from me this week. In the letter is enclosed a pledge card for you to review and pray about. And you can bring your pledge card and turn it in any time this month. And on the 29th we will ask God’s blessing on the pledges and those who have pledged. As I said in the letter being able to give your money back to God is a spiritual issue. Being able to give time to serve God is also a spiritual issue. Please pray about both! Let’s not be like the unfaithful tenants in the parable but let us be faithful stewards of all that God has given us!